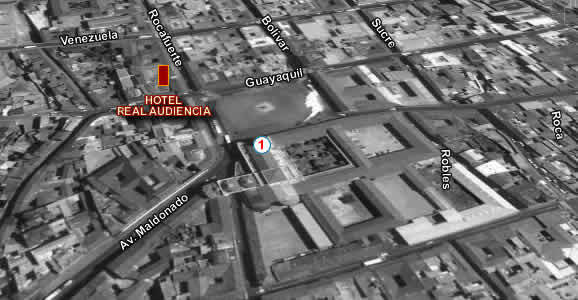 The Hotel Real Audiencia has an excellent location in the historical center of Quito, in front of the Santo Domingo church, where you can enjoy the beauty of its surrounding area. Comfort, quality care and hospitality have been the hallmarks of Hotel Real Audiencia, which strives to meet your needs for your stay in the city of Quito, a pleasant and memorable. The Royal Court Hotel offers excellent accommodation: mini-suites, single, double and triple rooms, decorated in colonial style and very comfortable. All with private bath and TV cable.